TEHRAN, Iran -- Flash floods in southern Iran have killed at least 17 people and injured 74, Iranian state TV reported on Monday. Heavy rains outside the city of Shiraz triggered the sudden flooding, according to the head of Iran's emergency medical services, Pirhossein Koulivand. 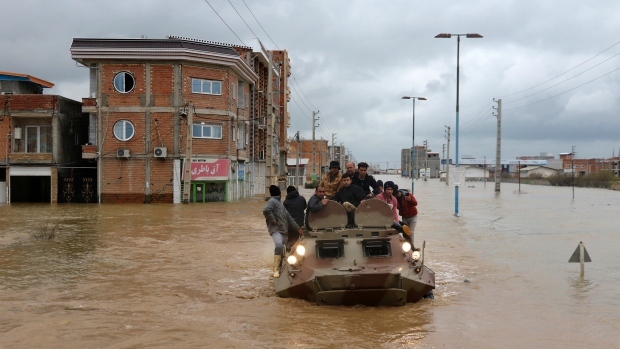 Enayatollah Rahimi, governor of Fars province, said the flooding is under control and aid work is in progress, but asked people "to stay in their homes," the semi-official ISNA news agency reported. Iran's metrology department had warned about the heavy rains in various areas across Iran.